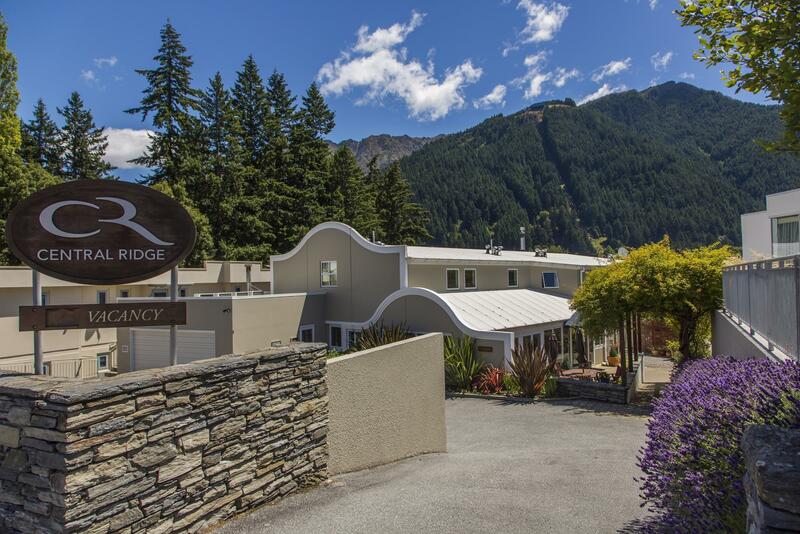 يحظى فندق Central Ridge Boutique Hotel بمكان متميز في محور المدينة والاستمتاع بـ سياحة, مطاعم, رياضات في هذه المنطقة الفاتنة. إن موقع الفندق الاستراتيجي، الذي يبعد 0.2KM فقط عن مركز المدينة، يسمح للنزلاء بالوصول سريعاً وبسهولة إلى العديد من الوجهات المحلية المثيرة. يقع هذا الفندق الحديث على مسافة قريبة من المعالم السياحية الشهيرة. إن الخدمات الممتازة وحسن الضيافة العالي في Central Ridge Boutique Hotel تجعل إقامتك تجربة لا تنسى. يمكن لضيوف الفندق الاستمتاع بالميزات التالية على أرض الفندق: واي فاي مجاني في جميع الغرف, خدمة التنظيف يوميًا, مدفأة, خدمة سيارات الأجرة, خدمة حجز التذاكر. لقد جهزت هذه الإقامة الفندقية بعناية فائقة لتوفر مستوى عالي من الراحة. في بعض الغرف يجد النزيل تلفزيون بشاشة مسطحة, سجاد, رف للملابس, قهوة فورية مجانية, شاي مجاني. يقدم الفندق مجموعة واسعة من وسائل الراحة المتنوعة، كمثل: مسارات المشي, ساونا, التزلج على الجليد, صيد السمك, تدليك. إن Central Ridge Boutique Hotel هو خيار ذكي بالنسبة للمسافرين، فهو يوفر إقامة هادئة ومناسبة للاسترخاء. It was a great holiday spent in Queenstown. It was made more special by a wonderful stay at Central Ridge Hotel - great location, friendly staff, nice accomodations. Will definitely stay here again in our next visit to Queenstown! It's really convenient because it's close to the city center and to bus stops. The staff is very friendly, helpful, and accommodating. There's a nice common room downstairs too where you can just hang out. We weren't able to try the breakfast though since it wasn't part of our booking but I saw that they opened early (around 7:30am if I recall correctly). Wifi is good and fast. Bathroom is very clean and there are toiletries available. Beds were comfy too! This is definitely the only place I will stay at every time I go to Queenstown. What a nice hotel. I got a large room with enough space for a king-sized bed, a living area with 2 sofas seats, a balcony, a bath-tub in the toilet, a pantry area and lots of walking space in between. Even for such a large space, it was sufficiently heated. Everywhere indoors, there's no need for warm clothing. Quite unexpected of a "boutique hotel" - or perhaps my expectations of these had been badly tarnished by my past experience? The manager was also very friendly and helpful. He catered to all my requests made at all kinds of times - a plug adaptor, a fruit knife at 9pm, checking out 6am without prior notice. I would have liked to give "excellent" for location because it's so near to the town centre. But it's situated on a steep slope with driveways and walkways that aren't too well designed for ease of access, so that took away a star. No problem for a car, but anyone on foot or on wheelchair will find it challenging. Nice place with good quality furniture and linen. Good view from windows and handy having a fridge. We would have liked breakfast at the hotel but felt if was too expensive compared to what you could get at local cafes. Saw staff st check in and check out. They were pleasant enough but felt a little impersonal as you don’t see reception as you go in and out so no other interaction with staff. I stayed 4 nights on Christmas period. I love my big comfortable room. I love the large window with good view. Full kiwi hot breakfast is great. -Very good location 2 mins walk to town center -So close to beautiful Queenstown park - Daily cleaning service - receptionist was professional , helpful and friendly - lounge has got good atmosphere with fireplace - value for money when book during low season. - the internet speed was good and unlimited use . - big bathtub Downside The room needed a bit more decoration to make it real boutique. Staffs are very welcome and very helpful in providing their services. Room is nice and spacious with daily cleaning. No drinking water provided and limited parking space. Location is only 7-10 mins walk from restaurants and major spots for tourist. Will definitely stay here again. The hotel was the perfect place for us to unwind after our activities in Queenstown. We stayed in the hotel for 3 days and the staff (reception was Adriana) was friendly and helpful throughout the stay. The room was luxurious (as promised in the photos) and had a large tub for us to soak and unwind. There are comfortable seats by the TV and free DVDs should you require them. 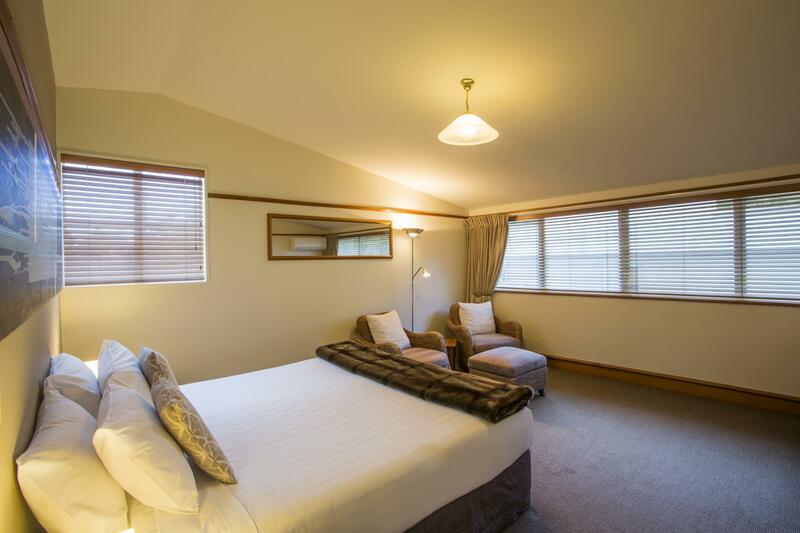 The hotel is just a short walk away from the city centre (3 mins walk through Queenstown Garden) and 20mins drive to Arrowtown. Would definitely recommend this hotel to others. This was our second stay of the trip as we loved it the first time. Staff were very welcoming and friendly and allowed us to leave bags as we travelled to other parts of the Island. The rooms are large with huge bed, sitting area. We were lucky to get the top corner room this time which meant we had views of mountains and as it snowed heavily overnight it was a lovely place to wake up. A short walk (2 mins) down the hill and you are in the centre of Queenstown though hotel is very quiet. We had an excellent stay. Staff were very welcoming and friendly. The rooms are large with huge bed, sitting area. Downstairs rooms have access to patio via patio doors. Also a large bath in the bathroom. A short walk (2 mins) down the hill and you are in the centre of Queenstown though hotel is very quiet. 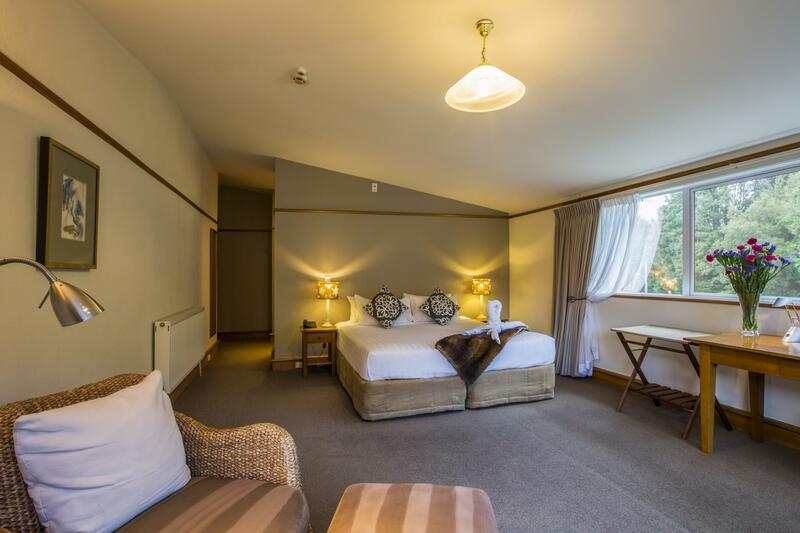 The hotel is at the edge of central Queenstown and is only a 2-min walk to the very centre of Queenstown. Some rooms have great views of the mountains and lake, and are very well appointed and spacious. The receptionist was very helpful and accommodating to our requests. Would stay there again! Would definitely stay here again. The manager was super cheerful and responded to all requests quickly and efficiently. Excellent stay here, friendly and helpful staff. Room excellent, breakfast freshly cooked not reheated. Nice patio area for relaxing in the sun with a glass of wine! Five minute walk to town centre and main harbour areas. Two minute walk to the park. Shame we couldn’t stay longer!! 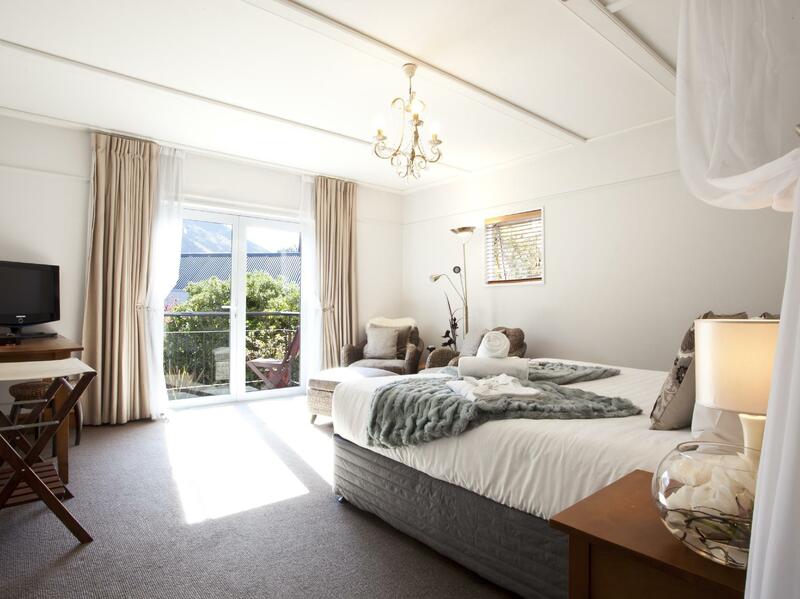 This boutique hotel offers an oasis is busy Queenstown. The hotel manager is very caring of your comfort and will book tours for you. The rooms are spacious and there is a large guest room with a well stocked library. Breakfast is optional in a sunny dining age and great value. The hotel is close to the city center. Before the trees in front of all rooms, there is no lake views. All the hotels in the Queens Town is relative expensive than others. Staff are extremely helpful. Facilities are good. 1) Location is a short 5 minute walk to the main street of Queenstown. Do note however, that this shortest route goes through a park that isn't lit at night. 2) Parking is 4 outdoor lots within the compound. It isn't a lot, but I didn't have problems with parking the 2 nights I stayed. 3) Rooms were clean, spacious and cosy. 4) The front desk staff was disarmingly friendly and made the stay very enjoyable. He gave many helpful suggestions when bad weather threatened our sightseeing plans. Nice hotel, great location. The manger Chua is very helpful. We do enjoy our stay there. The only thing is breakfast costs 20 dollars, which I think you can quite decent brunch in restaurants in queenstown. Stayed four nights & would definitely stay again. Had a lower level room with great view, room was always clean. Free off-street parking & a great location just a few minute walk away from everything. Staff was very friendly and accommodating. Hotel Manager Mr. KJ Chuah was really helpful as my wife and I were first timers to Queenstown. He recommended places to go and eat. Besides that the hotel was centrally located which made it easier to walk to any point of interest in town. Definitely would recommend and definitely would stay here again.